CHERVON Testing Center was founded in 1997, in the very early stages of CHERVON. It was recently upgraded with investments in various testing items in Safety, EMC (Electromagnetic Compatibility), Chemistry and Performance. The Testing Center is the first lab qualified as a UL CTDP (Client Testing Data Program) in mainland China for Power Tools and has achieved CNAS accreditation (China National Accreditation Service for Conformity Assessment), according to IEC/ISO 17025. 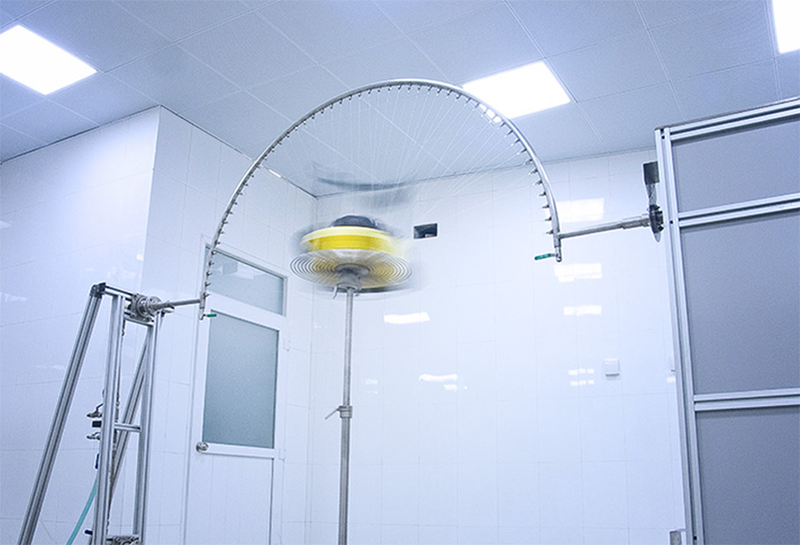 In the Testing Center, we have a team of internationally and professionally recognized testing engineers. With almost 20 years’ focus on power-tool testing and certification, they’ve accumulated solid expertise and have been participating in related standards development on both Chinese national and international levels. We are engaged members of standard/technical committees, such as GB SAC/TC 68, IEC TC 61 and UL STP 745, 2595 & 62841-1. With its comprehensive testing capability, CHERVON Testing Center is able to conduct safety and performance tests for power tools of various types, including handheld, bench-top tools and outdoor power equipment, according to relevant norms and regulations and our customers’ requirements.